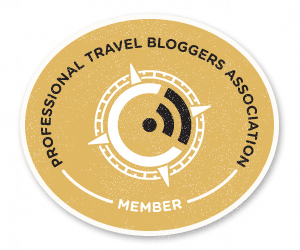 Last week Deborah of Tag Along Travel bestowed the Sisterhood of the World Bloggers award on Destinations Detours and Dreams. Deborah frequently tags along with her husband Steve on his many business trips. The couple also loves to travel for pleasure. And Deborah blogs about it. 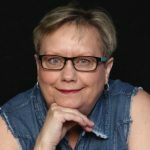 Like me, Deborah lives in Winnipeg, Manitoba, but we have not yet met face-to-face. 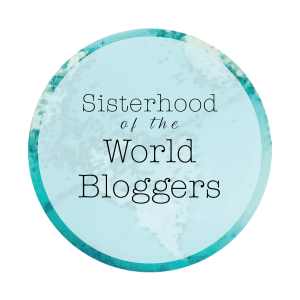 The Sisterhood of the World Bloggers honours comes with rules. You must answer 10 questions asked by the person giving the award and you must then give the award to 10 other bloggers with 10 of your own questions. How do you cope with jet lag? I try to catch some sleep on the plane if I will be landing in the morning. The first day is crucial and I try to live it out according to local time as best I can, adjusting to meal times and bed times. If I am very tired and cannot go on, I opt for a short nap, but set an alarm so I do not sleep the day away. Sometimes that works and by the next day I am in sync with the new time zone. Other times, I don’t cope very well at all. Wow, this question is tough. It sent me on trips down memory lane as I looked through my photo collections. I have favourites from England and across Canada. I love the scenery in Arizona – the mountains and the desert landscape. I love the blooms in spring. I have lots of wonderful photos. And then there is Barcelona. But, for this post, I’ve decided to share a picture from Nevis. Nevis is a Caribbean island I fell in love with in the 1980s, but after three trips there in less than three years, I never made it back until twenty-five years later. I approached that return with some trepidation. Perhaps the inevitable change over the years would lessen the island’s appeal and tarnish my memories. I did find change. Some of the quaint, isolated characteristics no longer existed. Some changes added to our enjoyment of the island. Underneath all the change, the charm and essence of the island and the people remained. I realized I may not have been at all comfortable on the island if I’d found things exactly as they’d been 25 years prior. I and the world had changed too. A short lesson on travel and life. What’s the most overdone travel quote you see on social media that makes you groan the most (e.g. travel is the only thing you buy that makes you richer)? I really dislike quotes that distinguish between travellers and tourists, such as “the traveller sees what he sees, the tourist what he has come to see.” The statements seem arrogant, implying there is something inherently better or nobler in certain ways of travelling. I disagree with that. What is the best hotel amenity that you have come across on your travels? I think it might be the heated towel racks in the hotel I stayed at in Scheveningen, Netherlands years ago on a business trip. Although after long days travelling in the car, a microwave in the room and microwavable dinners for sale at the front desk are a big plus too. If you could take a trip with anyone in the world, who would it be and why? I like travelling with my husband. We appreciate similar things and enjoy each other’s company. I tend to want to be busier than he does and have been known to plan to do more in one day than makes sense. Sometimes I spend part of the time exploring on my own, but he is often the voice of reason that slows me to a more sensible pace. I enjoyed a trip with my sister a couple of years ago. We’d planned to each go our own way and explore what interested us. It turned out we did most of our sightseeing together because we were interested in the same things. I discovered that my sister likes to pack in full days too and can actually sustain that pace longer than I can. What makes you feel uncomfortable when travelling? Being accosted by people trying to sell you something and who won’t take no for an answer. What is the biggest misconception people who don’t travel have about travel? I don’t know what misconceptions non-travellers have. I admit to being surprised and a little baffled by people who have absolutely no desire to travel or who have no interest in exploring when they wind up somewhere other than home, but whether their attitude is due to misconceptions or not I can’t say. They may simply have vastly different interests than I do. What is the must-do attraction or experience for someone travelling to your hometown? 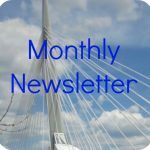 I think there is a lot for a visitor to see and do in Winnipeg and have written many blog posts about its attractions. What I would suggest to a visitor varies by what their interests are, but the one place I’d consistently recommend is The Forks. Where was your last trip and from 1 – 5 with 5 being amazing, how would you rate your experience? I visited my daughter in Vancouver, British Columbia. Visits with my daughter always rate a 5. Where are you going next and why? Next week, we’re off to the Whiteshell area in Manitoba where we will visit a friend at her cabin. Why? Because summer in Manitoba and chilling at the lake just go together, and because, no matter how much we travel, we’re still taken with the beauty so close to home. We’re planning a trip to England in fall. Why? To visit friends we haven’t seen in a long time and because it’s England! Carol at Generation Z. Cruising in an RV. How did you select the name for your blog? How do you like to travel? Alone, in a group, fast-paced, laid-back, luxury, budget, structured, unplanned, . . .
What has been your most unusual travel experience? What is the weirdest food you’ve eaten? What do you do to plan and prepare for a trip? 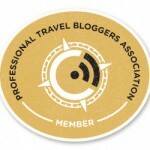 How has blogging changed your travel experience? What is your favourite thing about blogging? What is the most important thing travel has taught you? Interesting answers, Donna. Love the photo of Nevis. Other than Cuba I have not been anywhere in the Caribbean so I am intrigued by your choice and will have to do some research. 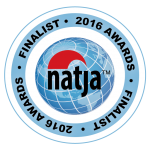 Thanks for taking the time to answer the questions that go with the award. 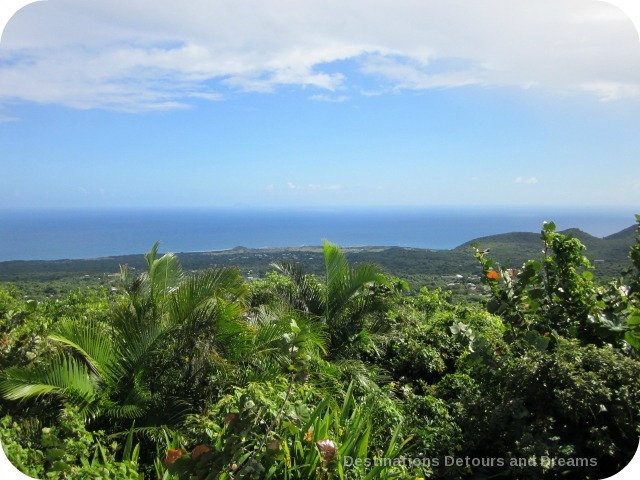 Deb, Nevis is a small island (part of federation of St. Kitts and Nevis). It was very rural and unspoiled when we first visited. It is less isolated now, but still beautiful with unspoiled areas and friendly people. It has no big all-inclusive resorts and isn’t the easiest to get to. Travel options are a bit upscale, meaning it isn’t a bargain destination, but it is beautiful and charming. Have to say it sounded vaguely familiar, but I wasn’t really aware of this island. Thanks for putting it on my radar! Thanks so much for the honour, Donna! I will answer your Q’s later today and post my nominees this week. I’ve never been to Nevis,. but your photo sure makes me want to go there! I’m looking forward to your answers Doreen. Glad you like the Nevis photo. Michele, I too love the skies. We’ve had hot, humid and unsettled weather lately – the sky has been fascinating to watch. Congratulations on the award Donna. Well deserved! I’ve always wanted to vist Nevis, by the way. That picture makes me want go there more, now! Laugh! Thanks Jacquie. I’m surprised to hear you’ve always wanted to visit Nevis. When I mention it the usual reaction is “Where?” Hope you get there someday. What a lovely idea and thank you for including me. I love your answer about the traveler/tourist quote. I agree on your take. I think people that like that quote like to see themselves above and apart somehow. I’m thinking about these questions and will answer over the next few days. Thanks! Colleen, I agree that people who make those kind of traveler/tourist quotes just want to set themselves apart as above the rest of us. I’m looking forward to your answers. Hi Donna. Thanks so much for the nomination. Enjoy your Canadian summer. They are always too short! Donna, Thanks so much for honoring me! You’ve included me with such great company. It’s a great way to learn about other female travel bloggers (and a bit about ourselves) in the process. I’ll get to work on passing it along. Nevis looks like a beautiful destination. I like your point about the arrogance of labelling yourself a ‘traveller’ rather than a ‘tourist’ and I absolutely agree. Everyone should travel in their own way. Lyn – agreed. There are many ways to travel. Anita, I’m looking forward to reading your answers. Congrats on the award 🙂 I too am perplexed by people who have no desire to travel. Even though my budget has changed lately, I am making sure to get some more local and affordable type of trips in.